Peter Guse joined Bosch’s Research and Advance Engineering Sector as Innovation Manager in 2009. 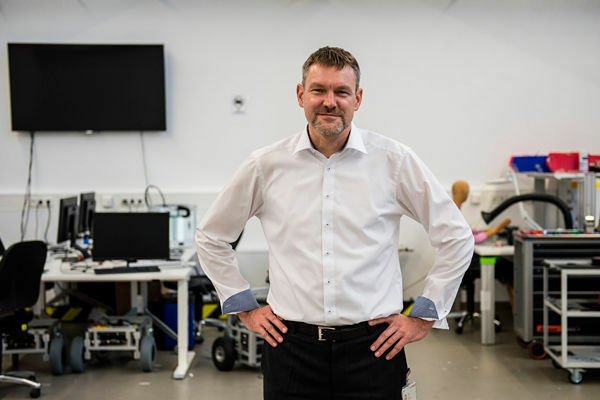 He co-developed the concept of the Bosch Start-up Platform, Grow, that he heads as founding CEO since 2013. 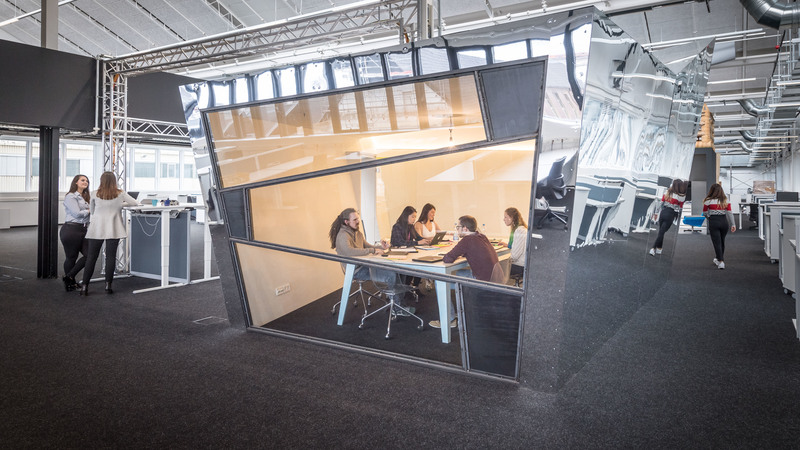 Grow platform Gmbh, as the internal incubator, is the platform for start-ups, and an open space for entrepreneurs inside of Bosch. 1) Hi Peter, thank you for taking some time in your busy schedule to answer our questions. First of all, can you describe the missions of your entity, the Bosch Start-up Platform? But grow is more than just a place. It‘s more than an incubator or a suitable work environment. We are HEIMAT for start-ups. The term HEIMAT for the most part refers to a relationship between people and places. It is a feeling. HEIMAT is wherever you feel understood, wherever you can relate to others, wherever you share a common set of values. 2) What are the programs that you’re offering to entrepreneurs (Grow half-day safari, 2-days expedition, 10-weeks discovery, co-working, incubation)? How many entrepreneurs do you incubate per year? Are you targeting essentially Bosch employees, or also external startups? Safari, a half-day workshop that we run on demand for up to 40 participants, mostly Bosch employees with or without idea, to explain what we offer and how lean start-up works, what ideas we look for, and what we expect from our teams. Expedition is run up to 4 times per year for 4-8 teams with ideas. Within 2 and a half day we coach the teams with external and internal experts how to structure the business model, interview customers, put a pitch and story together and present the case to a jury. From Expedition we select and invite the best teams for the next stage. Discovery is our lean accelerator passed in part time one day per week parallel to the everyday job over 10 weeks, again working intensely on the idea with experts, and aligning expectations for the final pitch to our board for incubation funding. 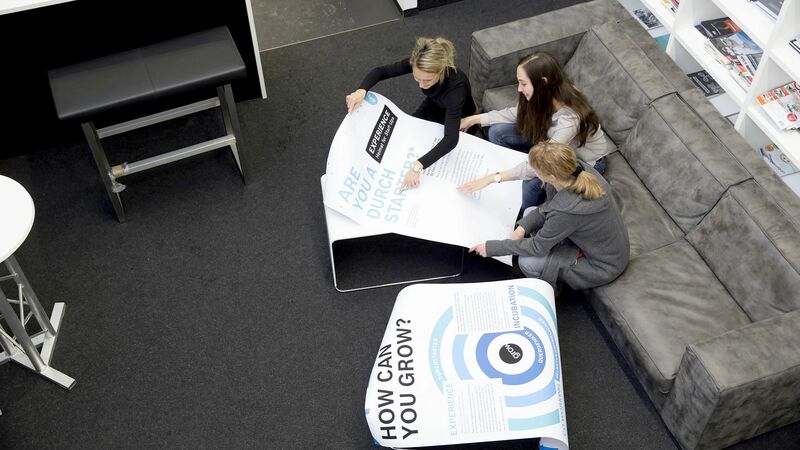 With funding granted, one or two teams per year are offered to join grow giving up the former job and move in with the other teams in the grow location in Ludwigsburg. Over the last 5 years, 8 teams have started this journey. 3) What are the outcome of your entity that you are particularly proud of? Can you name a few startups examples? Two of the 2014 teams in robotics for logistics and IoT in agriculture currently transfer back to Bosch to scale their business and technologies in business divisions, which is the original purpose of grow. But we also were able to sell urbanmates in 2016 on the market which proved that we create real value. Despite finally failing, our Mayfield Robotics team in Silicon Valley set examples in speed and customer focus. Hard to tell which where most valuable learnings! 4) What are the main obstacles you had to overpass in the set-up of Grow? We constantly struggle with the corporate aversion against uncertainty and the impulse to apply core business metrics to new business. Being a separate legal entity helps but only success is the ultimate justification for spending corporate money. 5) How do you handle the scale-up phase? Are you oriented toward transitioning the intrapreneur project into an external startup, or to an internal business unit? We are still learning how to scale up and found a gradual transition to a business division over 1-2 years to work most promising. Since our task is to create new business for Bosch we face the challenge to find a home inside the corporate for a business that per definition was out of scope before. So time and effort is needed for aligning commercially and strategically before transition can start. 6) What are your next challenges? Still we work on systematic scaling and exit. Increasing global impact and increase effectiveness are next. Let’s grow! Nicolas Bry is Orange Startups Studio COO. He entices Orange employees into becoming intrapreneurs, bringing their idea to life within Orange business. International executive, he sets-up innovation devices for new business. International speaker, writer with RapidInnovation.fr, guest lecturer at the Google Academy mini-MBA, visiting innovation professor at Telecom ParisTech, MediaSchool & EM Lyon, freelance consultant for the EC. Follow him at @nicobry.